Are E-Books Killing The Traditional Paperback Market? That playground torment stayed with me (to this day apparently) as did my love of books and reading. I still get a little excited browsing the paperback section of Barnes & Noble, and purchasing a new novel to read on the plane to my next flight. I really like holding books, having bookshelves full of everything I’ve ever read … the whole experience. According to the Association of American Publishers (AAP); however, I’m in the minority. 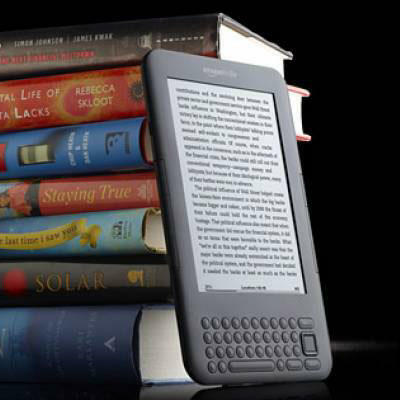 E-books have officially overtaken traditional books as the “format-of-choice” for reading. E-book sales are up a whopping 116% over last year, with the sales from February 2011 up an astounding 202.3% from where they were in 2010. I’ve never been able to get into the whole e-reader thing. I want to. I get it. It would be great to be able to finish a novel and instantly download another to start reading – but to me that takes a little too much away from the experience I’ve grown to love. You don’t get to browse the shelves, look at all the covers, and read random pages of books to decide if you want to invest hours or days of your life reading them. In this case the instant gratification of e-books takes away from most of the gratification I have in the entire process. E-books to me (even with their fancy e-ink) feel like I’m reading a computer screen. To me, computer screen = work. E-readers are also dependent on batteries, and can easily be destroyed (or stolen for that matter) if you leave them alone on a blanket on the beach too long. We live in an age where people can watch TV and surf the web on phones they keep in their pocket, and now some of the biggest book sellers are even making tablet computers – is it silly to think that there’s still a market for traditional paperbacks that don’t plug into the wall? In the press release on sales from the AAP, CEO Tom Allen said “publishers are constantly redefining the timeless concept of ‘books.” Are we ready for them to be redefined? I’m interested to hear what you guys think. Are any of you avid readers who have made the leap to e-books? Anyone else like me and sticking with traditional paperbacks? Anyone start reading (or feel like they read more now) simply because of the accessibility of e-books?